The cities of Florence and Sienna fought for centuries as a result of their territorial rivalries, not least in the rich region of Chianti that lies between Florence to the north and Sienna to the south. And yet at a very early date, an attempt was made to demarcate their mutual boundary definitively. The first treaty defining the border between the territories of Florence and Sienna was signed on the 11th of December, 1176, at San Marcellino a Monti. The church of San Marcellino a Monti near Gaiole in Chianti - only the apse is original. Looking at this abandoned parish church today, only the apse we see is original, the rest of the building being the result of a poorly conceived 19th century restructuring, when it was decided to further reduce what little remained of the old, triple-naved church. 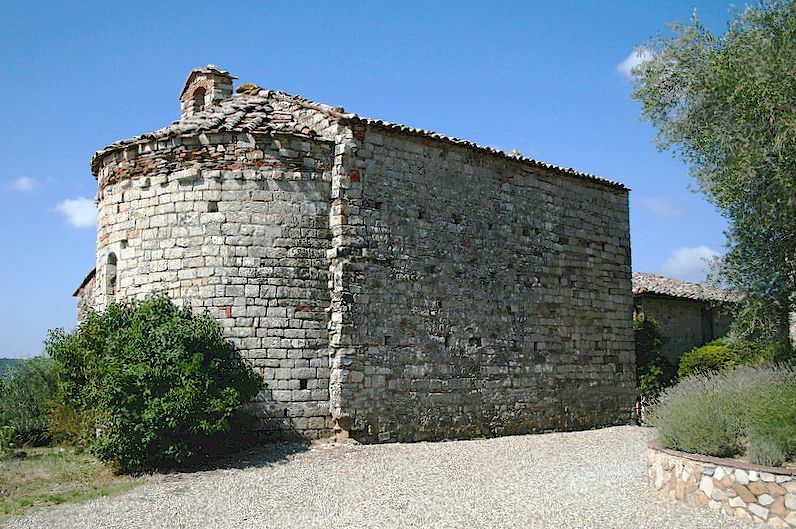 Yet, despite its appearance, the church of San Marcellino in Monti is in many respects one of the most important and fascinating parish churches of Chianti. There are columns and capitals of the Roman era in the new parish church of San Marcellino, a couple of miles away from the original, indicating that the area was long settled. Above all, it is important because it was at San Marcellino in Monti that the territorial boundaries between Florence and Sienna, as far as the region of ​​the Chianti is concerned, were established for the first time. This boundary has remained unchanged until the present day, although with a different meaning: today, in fact, the same boundary does not divide the Siennese province from the Florentine, but rather demarcates the southern limit of historic Chianti, which, since the unification of Italy, has belonged entirely to the province of Sienna. 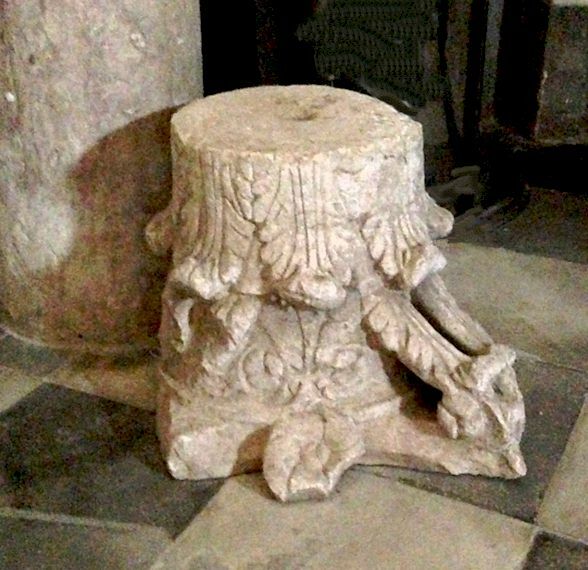 A Roman capital from the new Parish Church of San Marcellino. We can assume it was a very cold day on that Saturday in December, 1176, and equally cold under the arches of the already ancient church of San Marcellino a Monti. 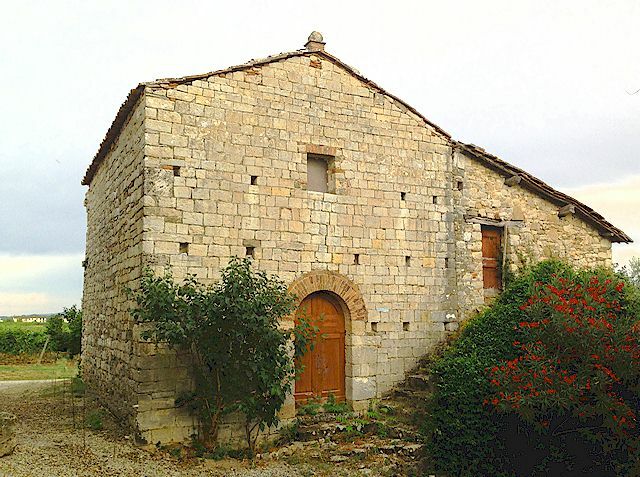 The church was chosen for its location just few kilometers from Castello di Brolio, in the municipality of Gaiole in Chianti, near the proposed border. The Siennese consular representatives were Forano and Rustichino and those of Florence were Restauradanno and Cavalcante, and they signed a treaty by which Sienna granted to Florence all the castles and villages situated to the north of the new border, which was established on this occasion to be represented by the bed of the Bornia torrent. Among the properties ceded to Florence - just to mention the most important of them – were the Castello di Brolio, Lucignano and Monteluco di Lecchi. In addition to the consuls, the feudal lords of the area were represented, they no doubt having a great interest in observing how the situation would evolve. These included Guarnellotto from Castello Tornano, who became a notorious thorn in the side of the Florentines due to his constant rejection of their jurisdiction. Despite the intervening centuries of warfare, the Bornia torrent thus to this day demarcates the southern limit of historic Chianti. The restructured part of the church of San Marcellino a Monti. More about the history of Chianti. More about modern geographical and wine-making Chianti. More about the parish churches of Chianti.